This is part two of a four part series. For part one, please click here. As we approach our next event titled “Cultivating the Genius of Black Children” we revisit this session with part two of a four part series to help aid you in building a comprehensive list of Anti-Bias books. After-all, as literary gatekeepers of our classrooms and homes, it is our duty to cultivate a more inclusive library collection! The visual and verbal messages young children absorb from books and other media strongly influence their ideas about themselves and others. (For a list of resources on Children’s Identity Formation, click here). Therefore, carefully choosing children’s books is a vital educational task. Here are the third, fourth and fifth idea (out of ten) to consider when reviewing children’s books for misinformation and stereotypes. Children needs to be exposed to all kinds of families and lifestyles to build understanding about how other people live and love. Think about the books in your collection. Does it open up a new world of understanding and hopefully empathy for your children? Does your library depict diversity among people within a specific racial/ethnic group (e.g. range of family structures, living environments, socioeconomic conditions, types of work, and gender roles within the family)? Do the lives of people of color or people with low-income in the story contrast unfavorably with the norm of White, middle-class, suburban life (i.e., the dominant culture in the U.S.)? Are negative value judgements implied about cultures different from the dominant culture? Do images and information go beyond the simple and offer genuine insights into the lifestyles of the characters in the story? Does the setting reflect historical assumptions about life but not contemporary life (e.g., multiple books in your collection about Native Americans/Indigenous Peoples in the 1800s but none from the present day)? The relationships that people (and characters) form with others impact who they are. Think about the events of the story, how the characters spoke to each other, and how they behaved toward each other. In the book, is there a balance of power among the characters? Who are the central figures, and who serve as the supporting characters? In your anti-bias library, is there a balance of what kind of characters play central roles and what kind of characters are supporting? Are family relationships shown with great variety? How often do you come across heroes of a story that are not white or male? Not very often, most likely. Think about the books in your collection and the protagonist of each. Do they send a subliminal message to children that whiteness or maleness is akin to valor, morality and desirability? Does your book collection include heroes of color, from low-income families, or with disabilities? When they do appear, are they admired because they are a credit to a particular social identity, or are they admired for the same qualities that have made White individuals famous? Do some of your books about important people include struggles for justice? A child’s foundation for respecting and valuing difference beyond their own families and communities starts with you! 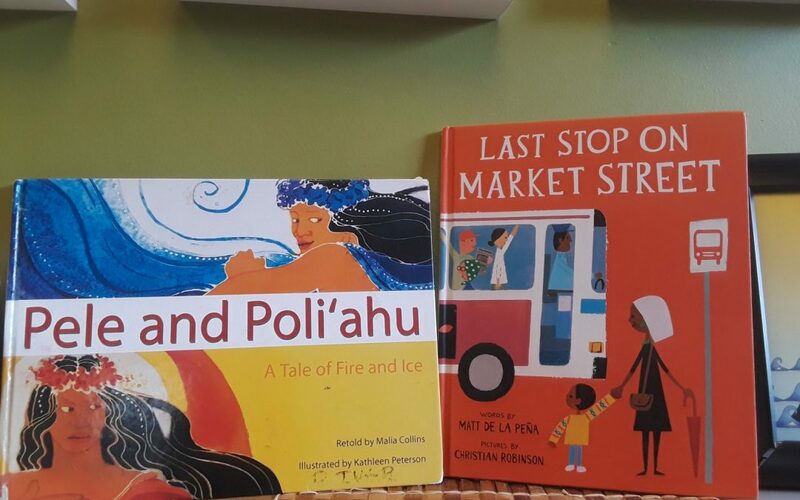 Please check back for the third installment of our series where we will recommend children’s books focusing on Cross-Cultural Folktales and Gender Identity.